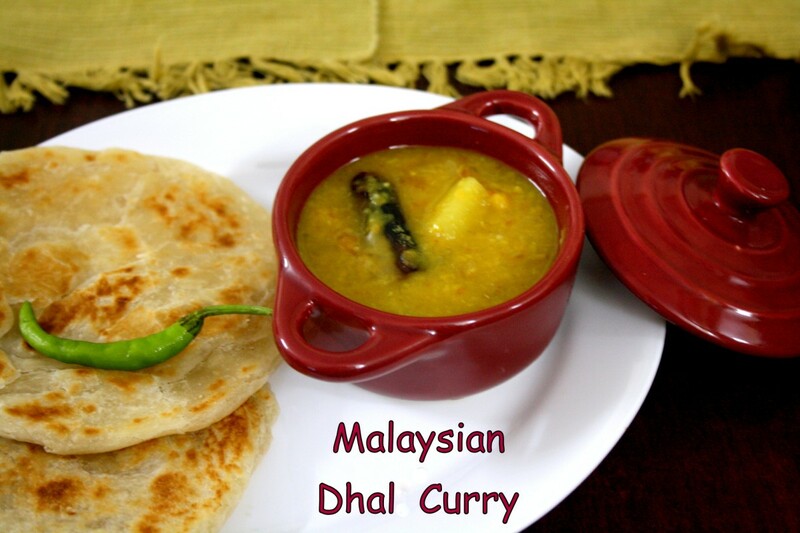 For the fourth day of Breakfast, this Dhal curry was the one that made me settle down with Roti Canai of Malayasia. 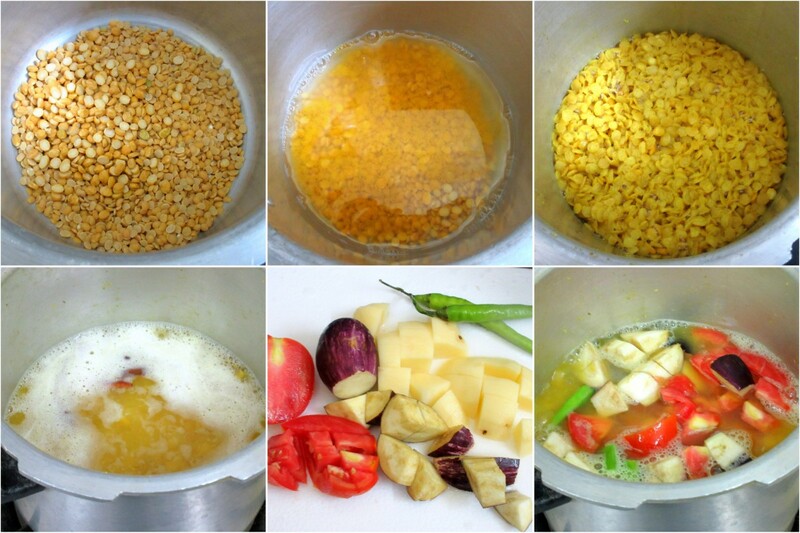 Even though we have countless Dal Recipes, the twist this dhal had, made it all the more interesting. We always only serve korma or a non veg side dish for our Parottas. 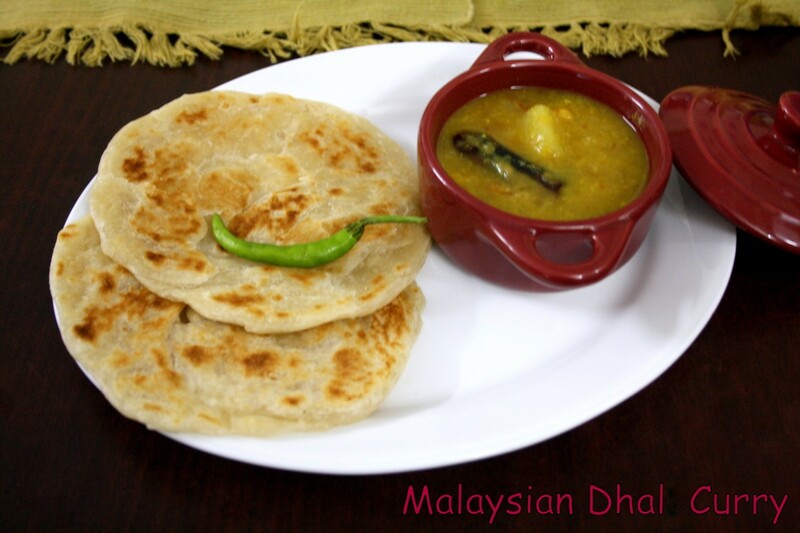 while it seems this Dhal Curry is the famous breakfast dish for the Roti Canai. The recipe and the preparation seem to be very interesting as well. While I had checked out so many versions, I finally made a mix of what I read from here and here. Though many recipes seem to be using toor dal or channa dal in their versions, I ended up using toor dal more with a fistful of channa dal. And that made it all the different. The addition of vegetables and the spices surely makes this dhal quite different from our regular preparation. As with traditional method of cooking, this dal is made in a large pot, which is kept simmering for hours. However since I mostly cook my dals in pressure cooker, I resorted to cook with it and make the process quicker too. I later simmered it for a while after tempering. Wash and pressure cook the toor dal, chana dal along with a pinch of turmeric powder with enough water covering the dal, for about 3 -4 whistles. Let the pressure fall down. Next add cubed potatoes, brinjal, green chilies, tomatoes, little onions and pressure cook for another whistle or two. Once the pressure falls down, remove the lid and add more water and continue cooking in low flame. Add the ginger garlic paste now. You can boil till the dal becomes little thick and the dal is well cooked. 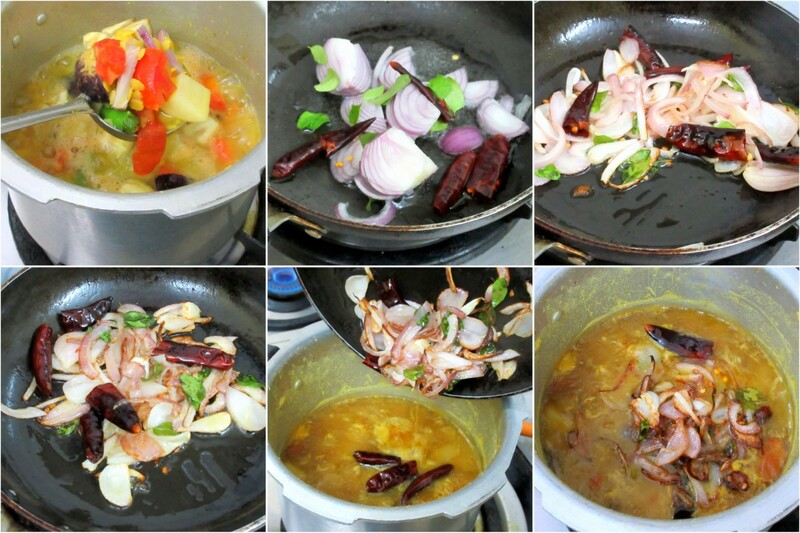 Meanwhile, saute onions, dry red chilies, curry leaves till the onions are browned. when the onions are well browned, pour that mixture into the simmering dhal. 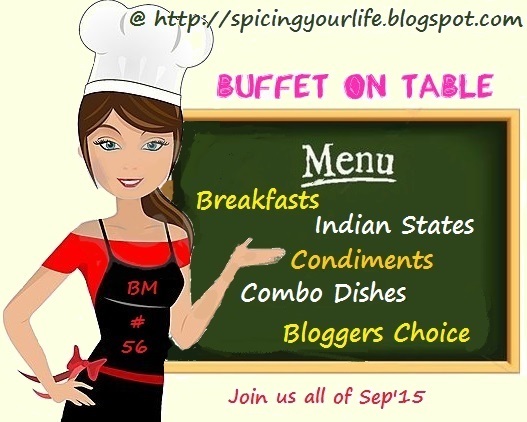 Mix and cook for another 5 mins and switch off. I added more chilies than what was suggested. Both the recipes didnt have green chilies and spices. I remember reading about the spice from another source which I forgot. 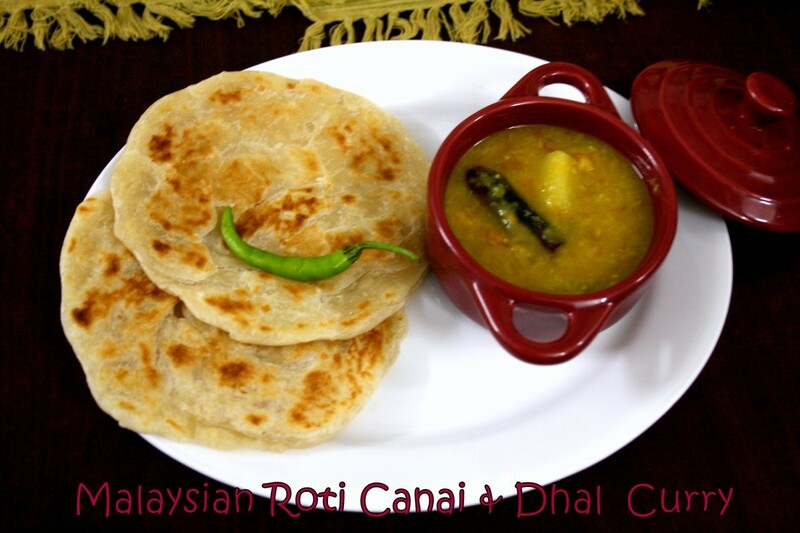 However I concluded that the dhal has to be spicy to pair well with the roti canai. We normally make tear Daal with veggies…but tempering with onions is what will make the difference..the Daal looks very interesting and a must try. That dal looks very inviting. What a masaledhar dhal curry Valli. I'm going to try this dal some time.